Current enterprise data warehouses are choking from the weight of new structured and unstructured data sources. In response to this, there are many new commercial and Open Source options. Our data warehouse modernization solutions help to extend and enhance your data warehouse infrastructure in a complementary way. To understand how we can help you to modernize your data warehouse, contact us. TRENDSET IT is focused on database support for your real time database needs. To understand how we can help you to solve your database needs, contact us. Trendsetit is a boutique outsourcing company offering a full range of custom software development, mobile application development, web application development services for a wide variety of verticals and business domains. Trendsetit's have mobile app developers includes highly-skilled analysts, UX experts and certified software engineers who are well-versed in building apps for all the major platforms — whether it's iOS, Android, or Windows Phone. Apps can be developed natively, or by using cross-platform frameworks and platforms such as PhoneGap or Xamarin. * Iterative, low-risk Agile approach. Iterative, low-risk Agile approach. 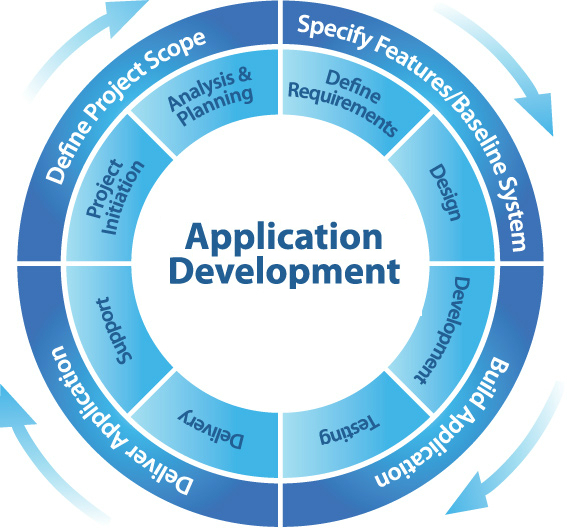 Our methodology allows us to rapidly build complex applications, efficiently handle changing requirements, and improve the overall product quality through a rigorous QA process. * Ease-of-use and usability get top priority. Our UX experts will make sure your app is straightforward, intuitive, and easy to navigate – whether on desktop or mobile. * Data and information security. We strive to apply strict security controls for the products we develop to protect you from things like SQL injections and cross-site scripting attacks. * Seamless backend integration. We have a plethora of experience in dealing with complex enterprise-grade backends and have the knowledge and expertise to ensure your backend's scalability, interoperability, and speed. Trendsetit's IT consulting services are advisory services that help clients assess different technology strategies and, in doing so, align their technology strategies with their business or process strategies. These services support customers’ IT initiatives by providing strategic, architectural, operational and implementation planning. Strategic planning includes advisory services that help clients assess their IT needs and formulate system implementation plans. Architecture planning includes advisory services that combine strategic plans and knowledge of emerging technologies to create the logical design of the system and the supporting infrastructure to meet customer requirements. Operational assessment/benchmarking include services that assess the operating efficiency and capacity of a client’s IT environment. Implementation planning includes services aimed at advising customers on the rollout and testing of new solution deployments. Trendsetit has one of the best hiring practices. Through these practices we are able to source, filter and identify the right resources for your requirements. We do not claim that we can always find you the right resource. However, we always claim that when we find a resource they will be one of the closest matches that you can find in the market place. Trendsetit unlike other placement firms, supports the consultant to be able to deliver services in a highly professional manner. The success of our company would be a function of our ability to provide high quality services and products to our clients. Our skilled professionals, especially programmers, have substantial theoretical knowledge in the field of computer sciences and/or related fields such as electronics and communication engineering; they should also possess highly refined skills to translate and implement theoretical principles into practical applications. The essential and all pervasive dynamics in the field of computer sciences, consulting and related information technology field are occurrence of rapid changes and technology developments. A computer-consulting firm, which cannot come in terms with such dynamics, is almost certain to fail in the space age Darwinism of regeneration, adaptation, change and progress. In order for our company to be competitive and also enlarge our market share, we have to constantly move to the outer frontier of the technology curve in the field of computer sciences and information technology. Our ability to design and implement computer programs, which meet the ever-changing needs of the market place, is almost completely dependent on the ability of our programmers to quickly grasp the logic and the architecture of new computer languages, application packages and hardware.